Since we started in 2007 we have worked with a number of organisations that no longer need our support. A brief description and contact details, where available, are given below. 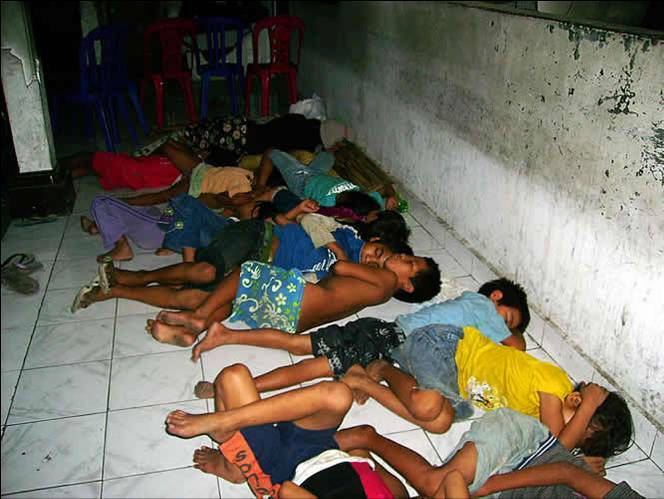 Yayasan Kasih Peduli Anak, was set up to help street children in Kuta, Bali. It provided school classes and nutritious meals two afternoons per week, medical care when needed and tried to provide a safe place to sleep for those most at risk. Our support from 2008 to early 2011 helped them grow and establish an orphanage with strong local and international support. Social Change and Development works with disadvantaged communities in Tamil Nadu, India. We helped two self-help groups of gypsy women set up a bead chain making cooperative, to install a tube well providing a reliable source of clean water and to build a communal washing place and toilet. SCAD is a very successful ngo, now largely self-funding, which has received substantial support from Salt of the Earth. Caritas Keuskupan Maumere works to support poor communities in the Maumere District, on the island of Flores in Indonesia. Our first grant established a revolving fund to provide credit to small productive businesses. The first two loans have provided yarn and dyes for a group of women Ikat weavers and new boats and fishing nets for their husbands in the village of Nangahure. A second grant set up a similar fund in another village. Anak Bangsa provides after school skills training for very poor city children in Mataran, on the island of Lombok in Indonesia. Classes include handicrafts, computer use and social skills. In the sewing class they learn to make their own school bags and uniforms and items they can sell in the local market. The association also provides micro-credit loans to start small businesses. Social Welfare Association of Nepal works with several remote villages in Baglung district. They have established a health clinic, a hostel for blind children attending school, improved the water supply and set up self-help women's groups in each village. 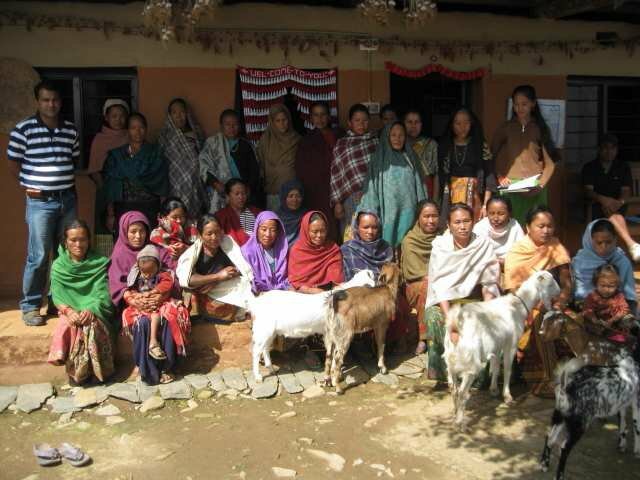 Our support funded an income generation project (goat rearing) among the women of Bhakunde village. We also sent an emergency grant following the 2015 earthquake. Seka Teruna MANU MURTI support the development of children and young people in a village near Tampaksiring, Bali. Initially focused on traditional culture and skills such as Balinese dance and gamelan playing, they also promote literacy and the skills needed for modern life as improving livelihoods in the village will reduce the need to migrate into over-crowded cities. Our grant supported computer classes given by a member of Senang Hati. Lembu Nai Institute (Get Happy in Lio, the local language) and YASTIM (Farmers Awake!) work with poor villagers in the Ende district, east Flores where 60% of children do not finish elementary school, 85% of people are subsistence farmers and the average per capita income is around £200 per year. Recent projects include the development of traditional weaving and the manufacture of Sate skewers (previously imported from Java) to generate a cash income, tree planting to protect water sources and the resettlement of people fleeing the eruption of Rokatenda volcano on the island of Palue. Indigo Ikat is a weavers group based in Beja, one of the 'traditional villages' near Bajawa on the island of Flores, Indonesia. They use traditional designs and organic dyes to make pieces for sale to tourists. 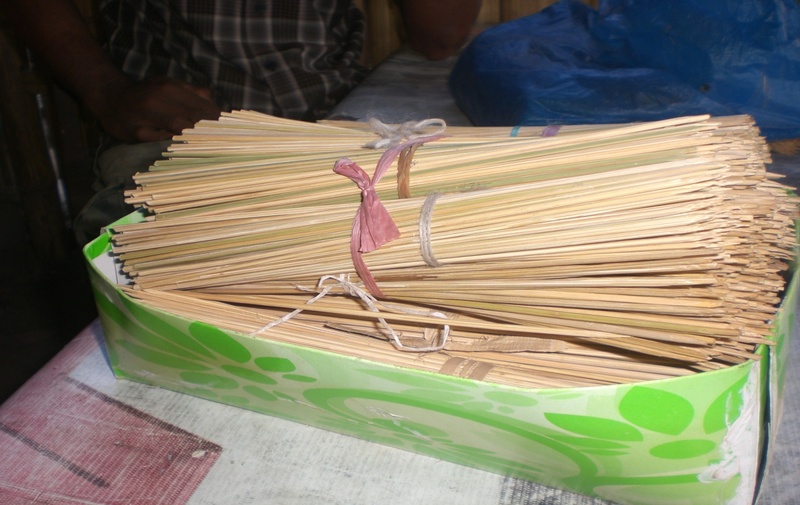 Our grant enabled them to establish a revolving fund for the purchase of materials. Profits are shared between the individual weavers and a community fund used to improve village facilities.